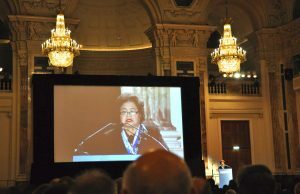 Setsuko Thurlow, Überlebende des Atombombenabwurfs auf Hiroshima, hielt während der Wiener Konferenz zu den humanitären Auswirkungen von Kernwaffen eine kraftvolle, inspirierende Rede. Sie erzählte die Geschichte vom 6. August 1945 und wie sie diesen Tag er- vor allem aber überlebte. Ihr berührender Vortrag und ihre schrecklichen Erfahrungen erinnerten uns alle daran, warum wir bei ICAN unsere Arbeit machen: Das darf nie wieder passieren! Die anwesenden Staatendelegationen, zivilgesellschaftlichen und Internationalen Organisationen waren gleichsam bewegt von ihrer Geschichte und Stille erfasste die Hofburg. Setsuko Thurlow war auch Gast beim ICAN Civil Society Forum. Für diese große Ehre möchten wir uns herzlich bei ihr bedanken! Gleich zu Beginn des Forums motivierte ihre besondere Rede die Teilnehmer*innen, etwas zu bewegen. Einen besseren und anregenderen Anstoß für das Forumswochenende hätten wir uns nicht vorstellen können. Das Interesse an Setsukos Erzählungen war groß und ihre mitreisende Art konnte von einigen Teilnehmer*innen des ICAN Civil Society Forums auch in einer kleineren Workshop-Runde im Marketplace belauscht werden. I am honoured to be invited to this Third Conference on the Humanitarian Impact of Nuclear Weapons, and to have this opportunity to share a little of my childhood experience of the atomic bombing of Hiroshima. To the government of Austria, on behalf of all survivors of Hiroshima and Nagasaki, I would like to express my deep gratitude and respect for hosting this extremely important follow-up conference to the Oslo and Nayarit conferences. 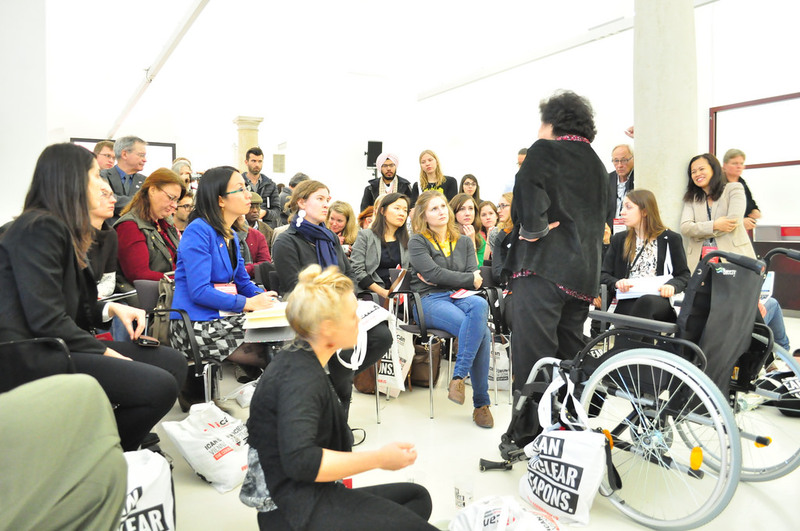 Deep thanks also to ICAN whose inspiration has brought us together, and to the ICRC and citizen groups from all over the world, working with governments to call for the total elimination of nuclear weapons. It gives me great satisfaction that these conferences have renewed the focus on the humanitarian dimension of nuclear weapons, the fundamental issue, yet long neglected by the shifting of the world’s attention to the doctrine of deterrence in the name of national and international security. As a 13-year-old schoolgirl I witnessed my city of Hiroshima blinded by the flash, flattened by the hurricane like blast, burned in the heat of 4000 degrees Celsius and contaminated by the radiation of one atomic bomb. A bright summer morning turned to dark twilight with smoke and dust rising in the mushroom cloud, dead and injured covering the ground, begging desperately for water and receiving no medical care at all. The spreading firestorm and the foul stench of burnt flesh filled the air. Miraculously, I was rescued from the rubble of a collapsed building, about 1.8 km from ground zero. Most of my classmates in the same room were burned alive. I can still hear their voices calling their mothers and God for help. As I escaped with two other surviving girls we saw a procession of ghostly figures slowly shuffling from the centre of the city. Grotesquely wounded people, whose clothes were tattered, or who were made naked by the blast. They were bleeding, burnt, blackened and swollen. Parts of their bodies were missing, flesh and skin hanging from their bones, some with their eyeballs hanging in their hands, and some with their stomachs burst open, with their intestines hanging out. Within that single flash of light, my beloved Hiroshima became a place of desolation, with heaps of rubble, skeletons and blackened corpses everywhere. 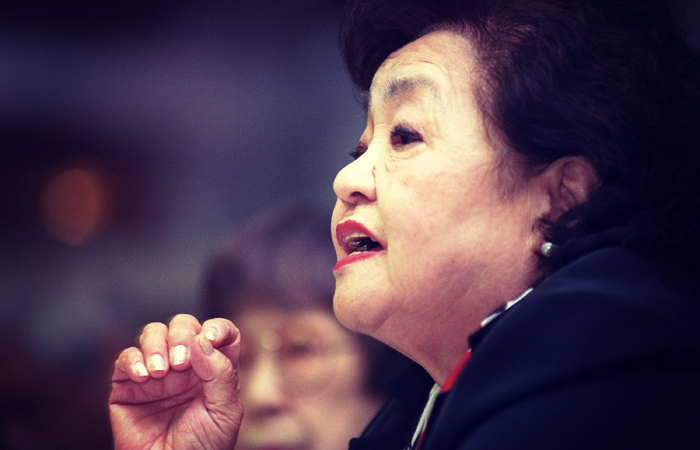 Of a population of 360,000 — largely non-combatant women, children and elderly — most became victims of the indiscriminate massacre of the atomic bombing. As of now, over 250,000 victims have perished in Hiroshima from the effects of the blast, heat and radiation. Today, 69 years later people are still dying from the delayed effects of one atomic bomb: considered crude by today’s standard for mass destruction. Through months and years of struggle for survival, rebuilding lives out of the ashes, we Hibakusha, or ‘survivors’, became convinced that no human being should ever have to repeat our experience of the inhumane, immoral, and cruel atomic bombing, and that our mission is to warn the world about the reality of the nuclear threat and to help people understand the illegality and ultimate evil of nuclear weapons. We believe that, “Humanity and nuclear weapons cannot coexist indefinitely.” Thus, we have a moral imperative to abolish nuclear arsenals, in order to ensure a safe, clean, and just world for future generations. 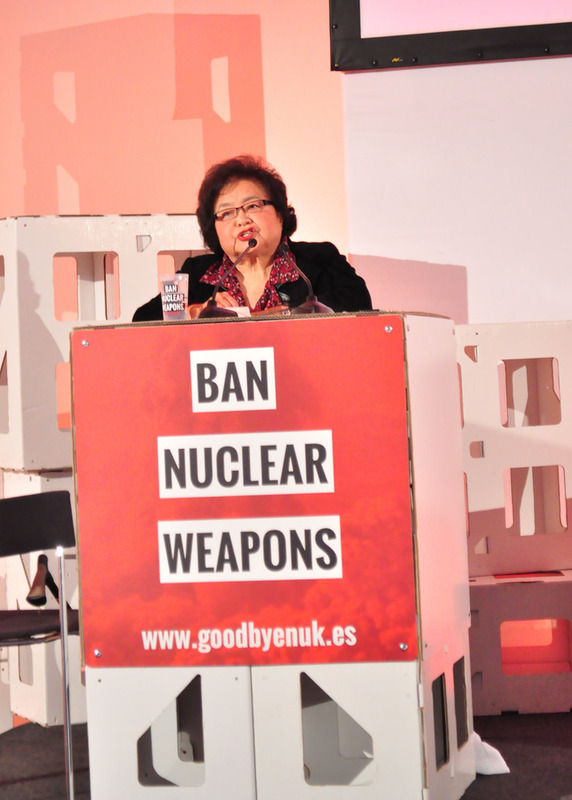 With this conviction we have been speaking out around the world for the past several decades for the total abolition of nuclear weapons. Yet, Hibakusha are increasingly frustrated, just as all of us here are, by the lack of tangible progress toward nuclear disarmament. This, in spite of our baring our souls with painful memories over the past 69 years to warn people about the hell on earth we experienced in Hiroshima and Nagasaki. How much longer can we allow the Nuclear Weapon States to continue threatening all life on earth? At Nayarit we declared that the time has come for action to establish a legally binding framework to ban nuclear weapons. Here in Vienna let us move forward, courageously, by concretising our vision so that we can make the 70th anniversary of the atomic bombing of Hiroshima and Nagasaki the appropriate milestone to achieve our goal: to prohibit and eliminate nuclear weapons. 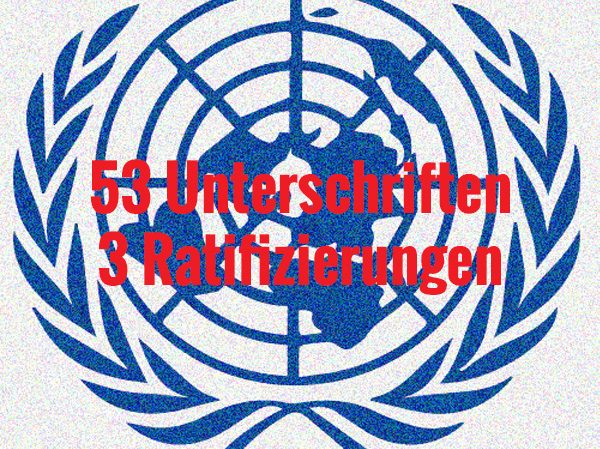 Let us start this process, beginning with negotiations on a ban treaty, here and now in Vienna.